Official Adidas Climacool product which is brand new with tags in Adidas packaging. 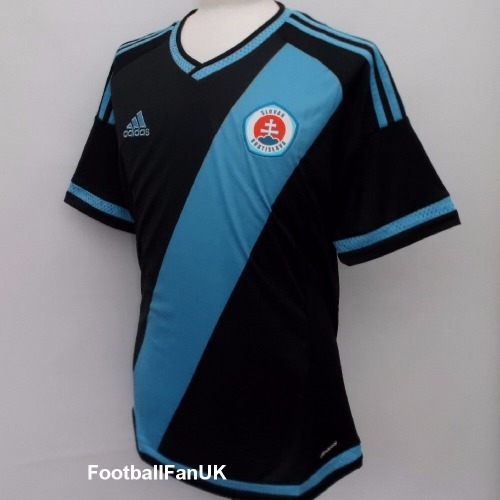 This is the Slovan Bratislava away shirt for the 2015/16 Slovakian league season when they were league runners-up and qualified for the following season's Europa League. - Black with light blue sash and trim. - Official Adidas product code S86406.